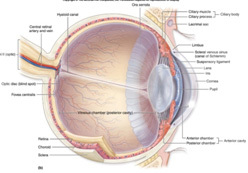 Diabetic retinopathy —damage to retinal blood vessels. Cataract—clouding of the lens of the eye. Cataracts occur more frequently and at an earlier age in diabetic patients. The board certified ophthalmologists at West Suburban Eye Center can find diabetic retinopathy at its earliest stages. We also have state of the art ophthalmic equipment to perform a variety of retinal studies, including retinal photography, OCT scanning, and fluorescein angiography. These tests can help determine when retinal laser treatment is appropriate to preserve vision. Our ophthalmologists have over twenty years combined experience in performing retinal laser treatment of diabetic retinopathy. We also understand the role of an ophthalmologist is a member of a health care team working together with an individual to treat their diabetes. We will explain our findings to you and your primary care physician to assist in the collaborative management of your diabetes. The first step in diabetic eye care is scheduling your eye exam. Please call West Suburban Eye Center today and add us to your health care team.